Tee It High, Let It Fly – 9 Tips for Your Next Fundraising Golf Tournament | Conventures, Inc.
It’s summer, and there is no shortage of organizations heading to the links for philanthropic golf tournaments. As New England’s leading special events agency, Conventures helps several groups with every detail of their daylong tournaments. 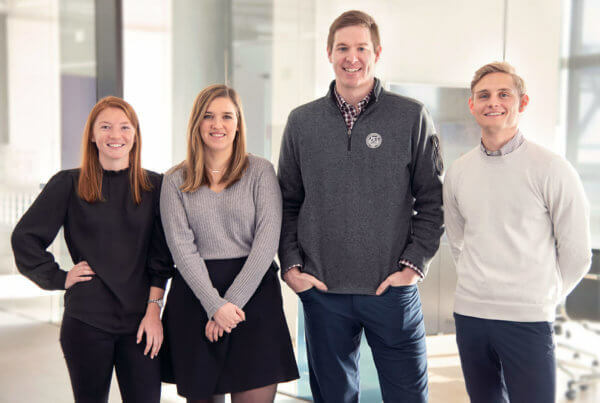 From registration to final accounting, in-hole competitions, and promotional support, the Conventures team often does everything but swing the club. Most recently, Conventures pros Alecia Marino and Katelyn Connolly teamed up with the Perkins School for the Blind and the Adopt-A-Student Foundation to help them with their tournaments. Katelyn and Alecia shared some tips on how they’ve helped their clients shoot below par and above their expectations to make these tournaments click. There are galas, there are parties, and there are golf tournaments. You’ll find a few people who fancy all three, but most folks save their giving for their favorite events. The point here is to keep the golfers swinging, and hopefully they’ll keep giving. “A big part of golf is the community aspect; friends, colleagues, and families often play together, and compete together,” says Marino. “Encouraging this aspect of community within a fundraising event is really beneficial.” Inviting participants to invite their network of golfers will hopefully generate greater interest in the event, put bragging rights on the line, and hopefully boost some giving. Having the golfers understand your mission is key – hole-by-hole signage and factoids, short videos or presentations; anything concise and easy to understand will be beneficial. And certainly a pre- or post-event speaking program will help drive home the key points. Place your messengers carefully, and have them prepared with their talking points. 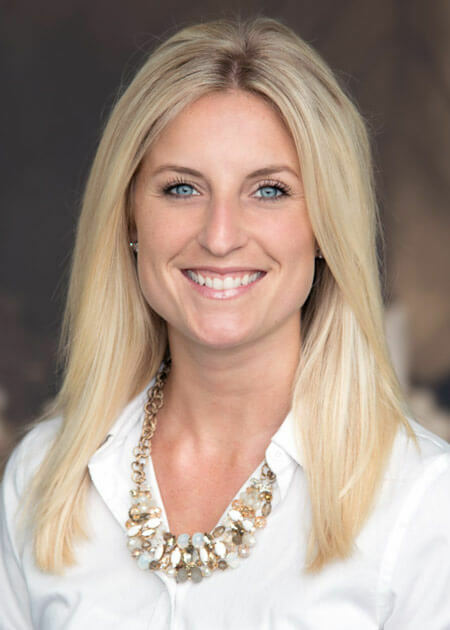 “You can place people from your organization throughout the course to talk to players, or even fill empty spots across foursomes with staff members to reinforce your messaging,” suggests Connolly. “It’s key to have members of an organization’s staff and even some of its beneficiaries working the event. 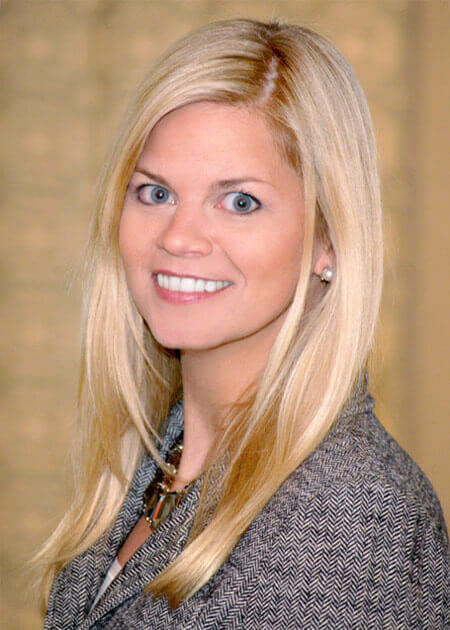 Anyone can play golf, but helping guests understand why you’re hosting the tournament is crucial,” she says. An organizers relationship with the host course should begin weeks before the tournament (months, really) and regular conversations with them (and site visits) will pay big dividends on the day-of. 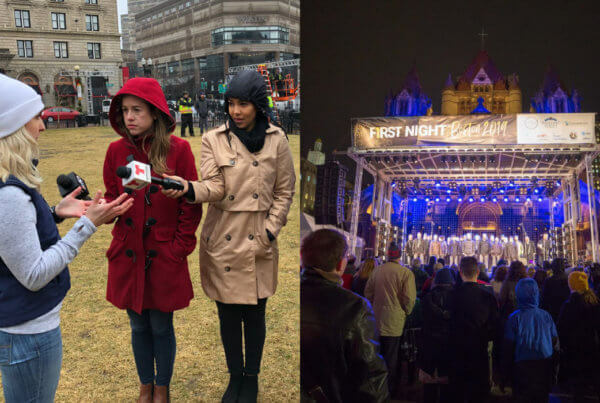 Organizers must ensure their event will receive adequate day-of staffing, guidance on course conditions, and collaboration on contingency planning in case Mother Nature isn’t on your side. 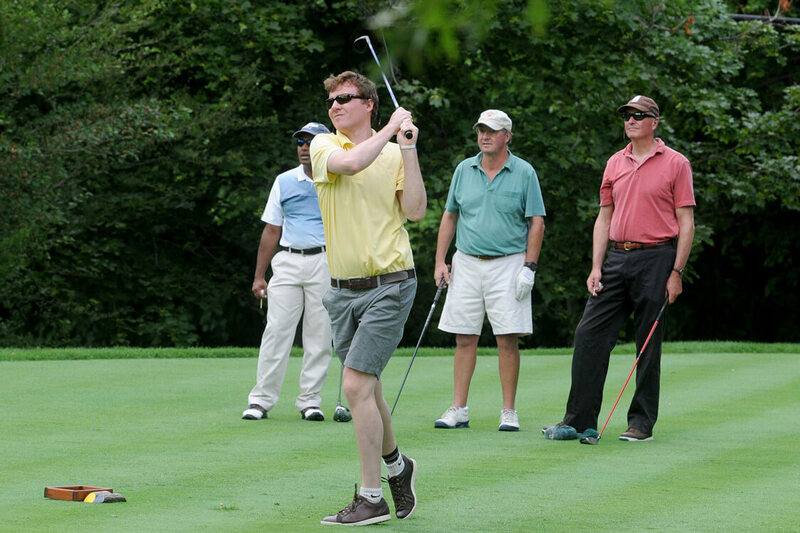 With almost all golf clubs, fundraising tournaments most often fall on Mondays. 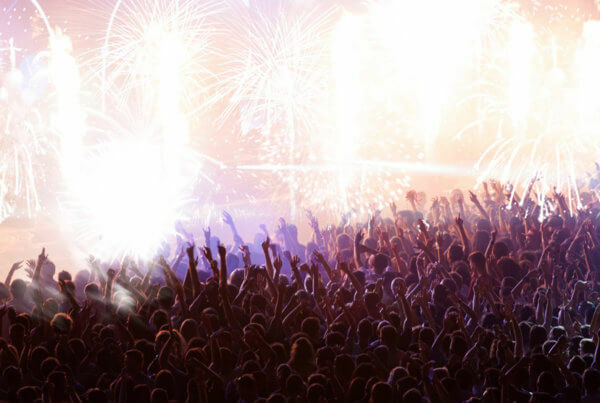 However, organizers can shoot for a month that may work best. “An ideal time of year for a tournament would be later in June,” says Connolly, “but organizers often have little control over this – courses are busy trying to schedule multiple events and not everyone can get their top pick.” While July and August are peak season at most courses in the Northeast, September is also a good time for a tournament. “While September and May can be more of a wild-card in terms of weather, having a tournament land on one of these dates may end up benefitting you cost-wise since you’re outside of the peak golfing season,” says Marino. From imprinted golf balls to towels and umbrellas, you can find great ways to give swag away, auction it off, or have golfers compete (or donate) to win it. “Swag bags are a great way to have sponsors display their materials, and it helps the organization cut costs,” adds Marino. “Avoid handing out coupons; hand out something cool and relevant to people’s lives, or specifically to golfing. Physical takeaways bring your tournament and its message beyond one day, and hopefully bring guests back next year. While the swag should leave an impression, you don’t want it to be too good. “You don’t want to give off the impression that you’re mismanaging funds,” says Connolly. Every golfer wishes they could have a do-over on a particular shot, but the rules are rules, right? Wrong. Your event, your rules. Giving golfers the opportunity to buy a “mulligan” is a fun way to boost giving. But, doing it right takes some acumen from organizers. “It’ll depend on the number of foursomes on the course, and you’ll have to limit it to maybe two per group,” says Connolly. “People were surprised that they had this as an opportunity; we charged $25 per mulligan and the organization made over $1,500 because of it,” says Marino. Another great option is a 50/50 raffle—golfers hit the green, their tickets are entered into the raffle. The more memorable the activation, the greater the benefit. 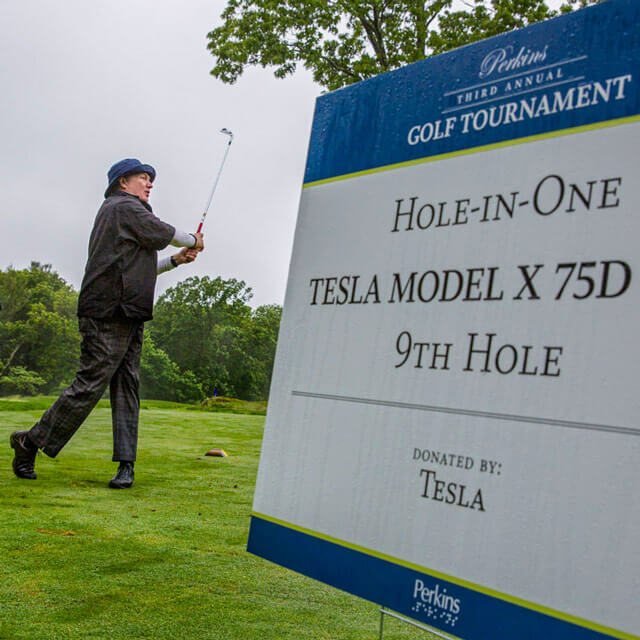 Two years ago, automaker Tesla was a sponsor of the Perkins Golf Tournament. The company brought two cars for guests to test drive.